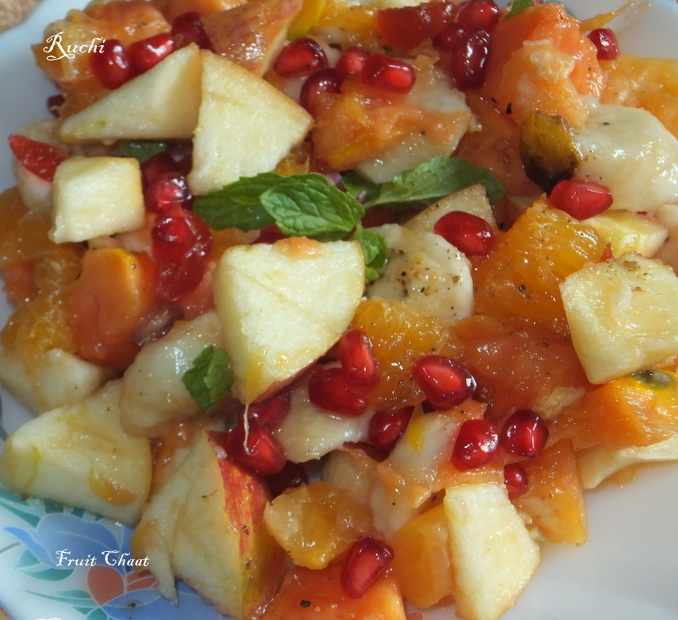 This fruit chaat is a simple dessert with a blend of fruits, tossed with chaat masala and soaked in orange juice. It was a delicious way of eating a great variety of fresh, seasonal fruit. I saw this recipe in a magazine recently, and it looks too good and easy to try it out. 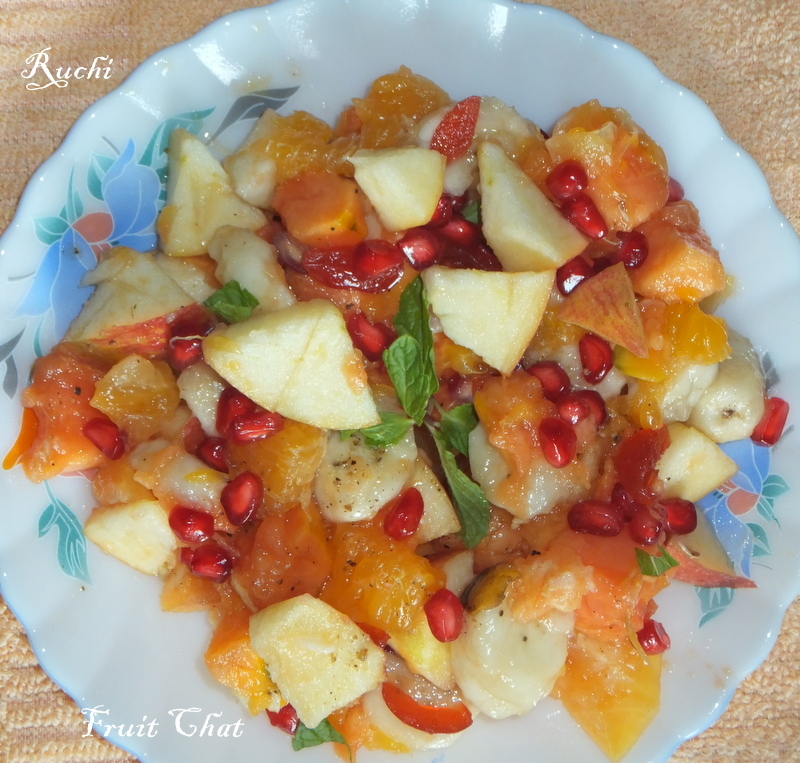 In wide bowl add all the fruits and mix well. On the top add dressing ingredients mix well. Chill it about 10to 15 mins. serve cold. Love this colourful,catchy fruit chaat.